Is your metering method causing you problems? The two main ways of taking a light reading are Reflective and Incident. Reflected readings are measurements of how much light is falling ON THE SCENE and Incident readings are measurements of how much light is falling ON THE METER. Spot meters measure small areas, but are still reflective types and when you take a reading through the camera lens (TTL metering), you are also taking a reflected reading. The trouble is, your choice of subject, or the angle that you shoot from, will influence the brightness that the camera reads. For instance, If I point my camera at a bunch of trees from thirty feet away, I will probably get a reasonable reading from the camera. If I then walk up to the nearest tree and lie underneath it, pointing the camera up through the branches at the sky, I will get quite a different reading, even though the light levels are the same. In another scenario; I have in front of me two garage doors. One of them is painted black, and the other is white. If I stand some distance away, my reflective reading will average out the lights and darks, giving me an exposure somewhere in between. If I then walk towards the garage doors and take a reading from each, I will have TWO OTHER readings, even though the light levels are still the same. This kind of subject influenced reading happens on sunny beaches, snowy landscapes, stage photography, night photography, or whenever you photograph any object, scene or person with a predominance of dark tones, or light tones. Given the infinite range of everyday lighting situations and possibilities for error, it is amazing that most shots come out at all. The reason they do, is because film is so forgiving, especially if you are scanning from your negatives and working on the images in photo-editing software. When I say film, I am referring to black and white, or colour negative films. Colour transparency film is far less forgiving and needs more careful metering. The other method of metering I mentioned was the incident reading. With this, there is usually a white plastic cone which goes over the light cell and this then allows the meter to read the light falling on the meter, and this is not affected by the tone of the subject. Incident readings are a quick and very accurate way of establishing a reading and are correct in most situations. If used in a back lighting situation, they will favour the shadow tones and give you an exposure which will show the lit areas as overexposed, so use them intelligently. There is one rule when taking incident readings, and that is that you must point the cone from the scene towards the camera, -not towards the light source. The reason the white thing is a cone, and not a flat disc, is so that in side lighting, one side will be lit and the other shaded, the meter can then average them out. If you point the meter at the light source, it will not take shaded areas into account and you will have an underexposed shot. If you have a meter with the facility for taking both types of reading, you can take two readings beginning with an incident, then decide if the reflective is giving you a proper mid tone. I usually take an incident and check that against a reflective reading off the grass, or tarmac on the road, both of these are very close to mid grey. In certain weather conditions, fog for instance, or snow scenes on a grey day, the light remains constant for a number of hours and one meter reading will be sufficient for many shots. Take one incident reading and the light will be the same for every shot. Spot metering. The spot meter is an excellent invention, but needs careful thought when being used. Typically it will take a reflected reading from a small area, indicated by a circle in the viewfinder of the meter. Anything outside of this area will not be metered, though they do pick up a bit of stray light if you have areas of brightness nearby, or are pointing into the light. Some people think that all you have to do is take one reading from the shadows, and another from the highlights and put your setting right in the middle. This can be done, but it will depend on how high your bright areas go. Are you reading off a white painted door, or the clouds nearest to the sun? A far more accurate way to do it is to read the exposure for the darkest tone that you would like detail in and underexpose from that reading by two stops. The important thing to remember is that exposure determines shadow detail and development determines highlight detail. Just let that sink in a bit; Exposure determines shadow detail and development determines highlight detail. There is no shadow detail that can’t be rendered on film if given enough exposure. Leave the shutter open long enough and the film will record light that your eyes cannot detect. Okay, we’ve got that, but what about contrast? 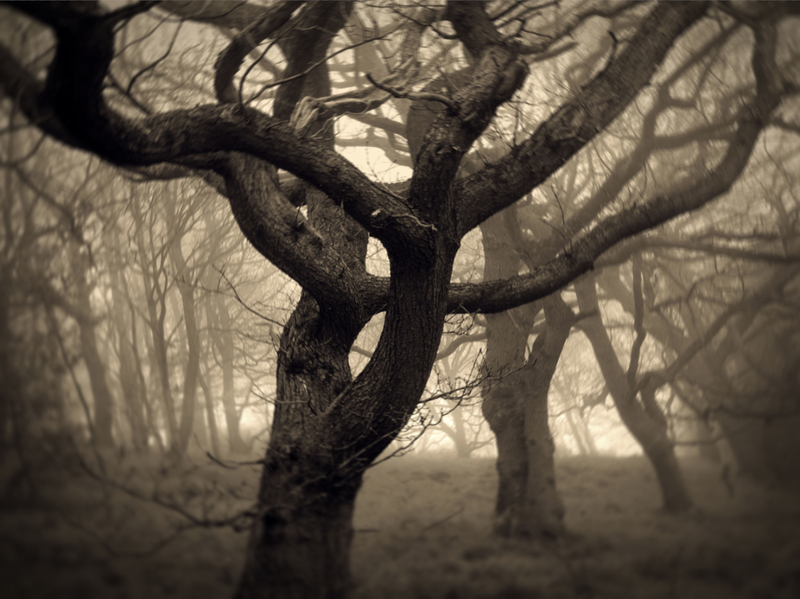 Well, if you have exposed so that the shadow detail will produce some pale greys on the negative, but you have areas where a lot more light reached the film, say for instance, a gap in dark woodland with a sunlit area beyond, this area will have obviously received an excess of light. This will only become unprintable if you keep it in the developer long enough for it to go to black. You don’t want that, you want a dark grey that you can print through, so the answer is to cut back the developer so that this doesn’t happen. I’ll be covering this subject in my next post. Metering through the camera lens (TTL). This is a quick and practical way to get your exposures pretty close to correct as long as you understand a few things; What you point the camera at for the picture, doesn’t have to be exactly the same thing you point it at to take a reading. For instance, if you were shooting tall buildings in the city from ground level, you would most likely be pointing the camera up and getting lots of sky. Point the camera at the building, excluding sky, take the reading and use that for the up shots. If you are shooting a band on stage, exclude the lighting rig from the frame when you take the reading, then set it and fire away. 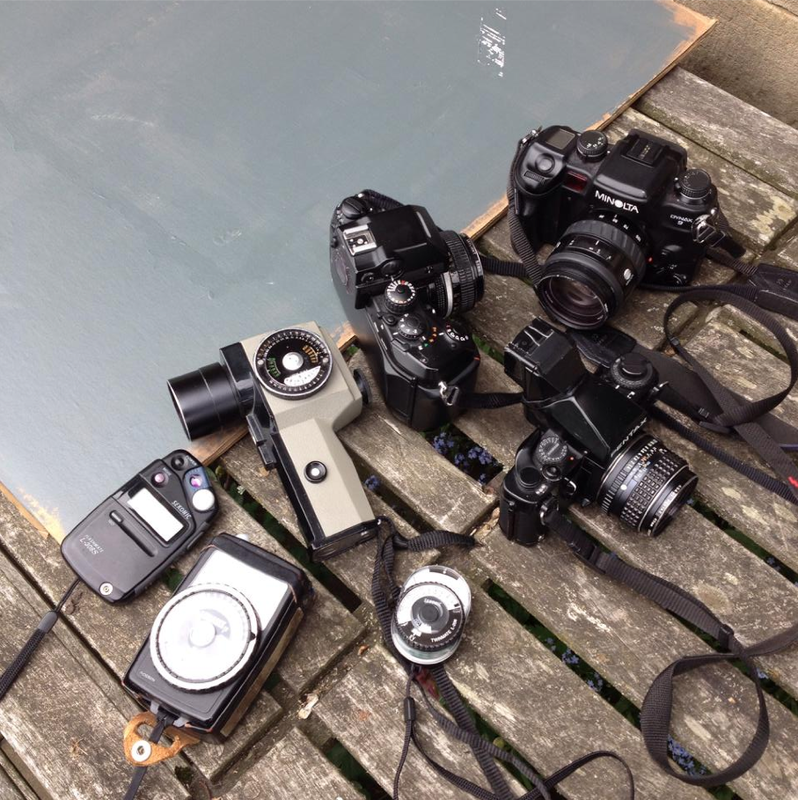 For street shooting, a 35mm camera is ideal, but you won’t have time to take a reading as you compose the shot. Think about the tonality of the scene, take a reading from something typical, then set it and forget it. Metering in situations where there is low, even light only requires a good incident reading, a reciprocity chart and a tripod. Metering in situations where there are areas of deep shadow, coupled with hotspots of intense light, such as a concert needs a different approach. Uprating is commonly used in these situations, but this creates negatives of higher contrast, requiring very careful metering. Whenever I see images online and the photographer is claiming that the film was rated at 12500 ASA / ISO or some such high number, my first thought is; Yes, but where did you meter from? If the shots are taken at a concert, or some dark restaurant or club, there will be areas of deep shadow and very bright spots of light. In that kind of situation, a 12500 ASA reading from dark clothing in the corner of the room will give pretty much the same exposure settings as a 400 ASA reading from a well lit face. TTL metering will give you a result, but if the shot is important, then a carefully taken incident reading would be better. Outdoors in changeable weather conditions: If you have one of those days when the sun is in and out every two minutes messing up your readings, remember that the exposure will only drop by one to one and a half stops when a small cloud comes over. Proper storm clouds will take much more light away, but a typical British summer day with fleeting clouds is easy to meter; If you meter the grass for the sunny areas, the shadows from the clouds will be 1.5 – 2 stops darker than mid grey, but if you meter for the grass when the cloud comes over, the sunny patches will be 1.5 – 2 stops brighter than mid grey. Meter the scene according to the look you are after. Go out and try these methods and let me know how you get on. If there are any other lighting situations you are having difficulty with, then please leave a comment or question. This entry was posted in 35mm, Exposure/Metering, Large format, Lighting, Medium format, Processing, Uncategorized and tagged 10x8, 120 film, 35mm, 5x4, Contrast, Darkroom, Exposure, Film, Film developing, High contrast, Incident, Light, light meters, Metering, neg quality, reflective, spot meter on July 9, 2015 by andrewsandersonphoto. How reliable is your meter or your metering method? I thought I had my technique all sorted and knew what I was doing, but recently I was using a Nikon F4 camera and the in camera meter was giving me readings which I wasn’t convinced were correct. I checked it against a light meter app on my phone and there was quite a difference. 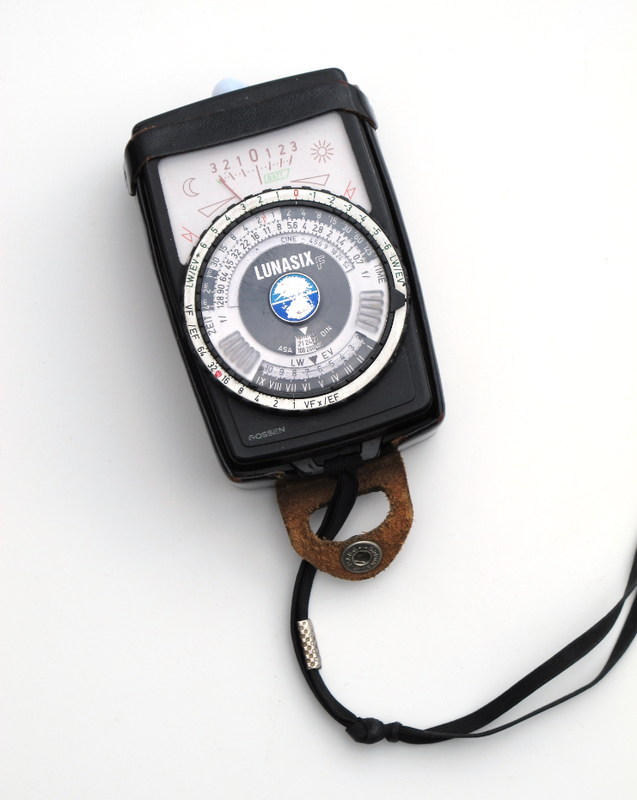 As I wasn’t too far from home I decided to go back and check against my trusty Lunasix F analogue meter. The surprise was that I now had three different readings! I decided to do a proper test, using a number of cameras, meters and a couple of phone apps. The following results show that you shouldn’t just believe that your meter is always correct. Also, an accurate meter is only any use if you use it properly, so make sure you give that some thought too. To establish a base line of exposure, I used a digital meter: the Sekonic L-308S. I painted a large piece of card grey and positioned it in a variety of locations at different times of the day. I used white card for the higher values. I didn’t want tungsten lighting to throw in another variable, so these were all daylight readings. I will be writing a separate post on metering and shooting under tungsten light at a later date. After spending a number of days compiling this data, I noticed that the readings did vary in places, though not as much as I had expected. My original problem of three different readings was down to two factors: Firstly, I was using a Nikon F4 with a non Ai fitting lens, which meant that I had to press the depth of field/stop down button to take a TTL reading. I have since discovered through these tests, that this is inaccurate most of the time. The second problem was that the battery in the Lunasix-F was nearly dead, so it wasn’t reading correctly. So before these test readings were complete, I had solved my original problem, but I thought that I would post the information anyway because there are a few discrepancies. As I said, these readings were taken from a large grey board in less than scientific circumstances and readings taking under scenic conditions could vary more, depending on angle of view and colour sensitivity. Out of interest, I also later compared two iPhone metering Apps: myLightMeter and Light Meter. Both are using the same hardware and probably the same, or similar software, but as this is not my area of expertise, I have no real evidence, and only refer to how useful they actually are, and how close the readings were compared to the Sekonic digital. Before I began this second phase of testing, I did a little research and discovered another App which was getting good reviews; FotometerPro. This proved to be the best of the three, but still had its limitations. I have not included the phone readings here, the phone apps will be covered in a later post. I had suspected that one or two of my cameras gave unreliable readings, but hadn’t put the time aside for proper testing until now. I already knew that the meter in my Pentax LX was exactly one stop out, so when shooting I always set the ASA to the number above. The readings in the table are with the ASA setting altered to give the reading I would normally get. The results are as follows. The x denotes correct, or matching exposure. So it would appear that some meters are good at the lower light levels and inaccurate as levels increase, and some others have this problem in reverse. There are blips in the readings and I can’t understand these, as I was very careful about measuring consistently and did them a number of times over. A slight inaccuracy in a meter is not a huge problem if it is the only one you use. If you have tailored your reading method and processing to give the results you prefer, then why worry? The problem will come when you take a reading with another camera, another meter, or rely on someone else’s exposure. I think the important message from these comparisons is that we should never assume that our equipment is properly calibrated. 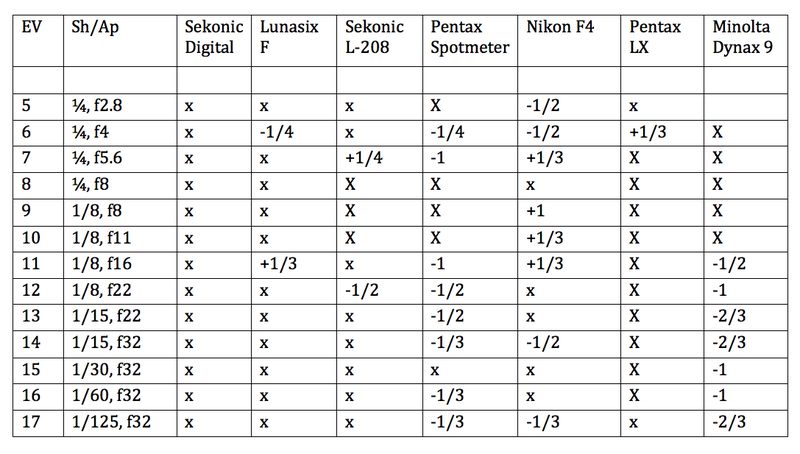 This kind of test or comparison should always be undertaken when buying a new meter, or camera. The variations I found are not too far from ‘correct’ for normal black and white work, apart from the Pentax, which I have already allowed for. But they could make a big difference if you were shooting transparency. I did discover though, that metering through old lenses on the Nikon F4 was not a good idea. Another factor which needs to be mentioned is the accuracy of your shutter. If your meter is giving you readings which lead you into overexposure, and your shutter is firing slower than it should (a leaf shutter problem mainly), then the combined overexposure could be very significant, and if your processing is out, you could be making the situation even worse! My next post will cover the topic of how your metering method might be more of a problem than the accuracy of your meter and how you can remedy that. This entry was posted in 35mm, Exposure/Metering, Large format, Lighting, Medium format, Uncategorized and tagged ASA, ISO, Light meter apps, light meters, Lunasix, Metering, Minolta Dynax 9, Nikon, Pentax, Sekonic, TTL, TTL meters on July 9, 2015 by andrewsandersonphoto. Looking at an analogue or digital hand meter for the first time can be very confusing, there are many options and often an overload of information. There are multi metering modes on advanced modern digital types which I find confusing even after using meters for thirty years, so I thought I might write a little about how to simplify matters and ensure consistent results. Firstly, whatever you point a light meter at is read by the meter as a mid grey. It does this so that the whites are white and the blacks are black and to do that, it puts the exposure in the middle. To make this work, there must either be a range of brightness in the scene, or something which is already a mid grey. Any and all light meters do this, and this is why when shooting in snow the hurried metering method often gives grey and underexposed areas where white should be the predominant tone. Another common mistake amongst beginners is to take shots looking up at trees or buildings without thinking of how bright the sky is. This causes the meter to read far too much brightness in the scene and the subjects end up as silhouettes against a grey sky. Even when a hand meter is used, false readings can arise from simple mistakes, such as having your shadow over the meter. So let’s look at the different ways of metering; Reflected, Incident, Spot and Average. Reflected is simply pointing a meter at something and seeing how bright it is, how much light is reflected from it. The problem though, is that if you point it at something rather dark, you will get an overexposed shot and pointing it at something light will give an underexposed shot. Incident is a method which reads how much light is falling ON THE METER. This avoids the problems above. When using a hand meter, taking an incident reading will produce an excellent negative 99% of the time (it’s not much good with backlit subjects). An incident reading is when a white plastic cone is fitted over the light cell allowing the meter to read light falling on the meter, rather than light reflected off the subject. The important thing is that the meter should be pointed towards the camera from the position of the subject, not pointed at the light source. If you are unable to stand in the position of the subject then simply point the meter in the same direction, but from a manageable position. As long as the direction of the light is the same where you take the reading and in the scene, the exposure will be the same. One of the most reliable methods is spot metering. Not for taking a number of readings to average out the exposure as some meters permit you to do, as this can often lead to an incorrect reading (Because the important brightness is always two stops up from deep shadow, not half way between deep shadow and bright white). Finding the all important deep shadow tone, ( Zone III ) takes practice. If you can identify this tone in a scene and read it, you then underexpose that reading by two stops, which gives you zone V – which is two zones along. This may seem confusing, as the explanation is more complicated than the doing. A simpler method is to set the spot meter to a film speed two stops higher than you are actually using, take a reading from deep shadow, set the camera accordingly and shoot. The film rating is not actually changed, so no alteration of dev time is necessary. Because the meter is set two stops higher, it reads the shadows brighter than they are, the meter then suggests a faster shutter speed/smaller aperture. Shooting at this exposure causes the deep shadows to be two stops underexposed (from mid grey) which is exactly where you want them. The explanation as I say often seems complicated, but in practice it is quite easy. give all methods a go and see which works best for you. Thanks for this explanation. Although I’ve been using an old-fashioned hand-held meter for years, I did not really understand all the implications of this, and I guess I’ve just been lucky with my shots (though it does explain a few overexposed anomalies now), or fortunate to have been using film with a wide exposure latitude. My recent move into shooting slide film will probably be more telling! As my meter is so old, I’m guessing it’s measuring reflected light rather than incidental light – it doesn’t have one of those cones. Maybe I’ll have to start thinking about an upgrade to my kit. For black and white your technique of spot meter deep shadow and open two stops is dead right, I’ve been doing that for 30 years and my negs have always been really easy to print, which to me is the point of the exercise. Don’t know anout colour, I don’t use the stuff! All good advice, it’s nice to see it expressed simply, some people turn the zone system into rocket science and I suspect in the process forget to take a good photograph. I read Mark’s comment, and I had to stop and think about it for a moment. You wouldn’t OPEN two stops from the meter reading if you’re metering a deep shadow. The meter would look at that shadow and (as you explain so succinctly) give a reading to render it a middle gray – which would require either a slower shutter speed or wider aperture. Either way, in order to properly render the deep shadows properly using the spot meter technique described, you would STOP DOWN two stops – not open up… Your explanation of “underexpose that reading by two stops” is the same way of looking at the situation. Thank you. These are some good insights. I usually take a spot reading of the shadow area and over expose by 1-2 stops and develop N-1/-2 (depending upon the shadow area I want to show up), and then print down to Z3 because Z´s 1 – 3 expose as black on any paper unlike the the wider Zone range of say 1-18 of all films. Paper in general, barely goes beyond Z10 and with N development Z3 would render only black as well. This entry was posted in Uncategorized and tagged 35mm, Cameras, Darkroom, Exposure, General, incident metering, Landscape, Large format, Light, light meters, Medium format, Metering, Portrait, Processing, reflective metering, spot metering, Street photography, Uncategorized, zone system on April 21, 2011 by andrewsandersonphoto.